I finally got the guts up to sew my own purse. I've been craving a Ruffled Bag with a nice long cross body strap for forever, but have been too scared I'd botch it up (having never sewn a purse before). As luck would have it, (& lots of helpful tutorials) I was pleasantly surprised at how it turned out! 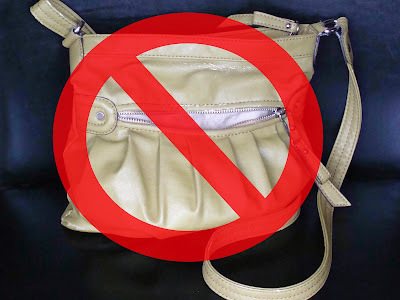 Goodbye to the grody green purse I've been toting around for 12 months too long. My older sister has a particular distaste for it and tells me what it looks like. I'll give you a hint. It starts with a b and rhymes with scarf. I know. I never said it would be pretty. 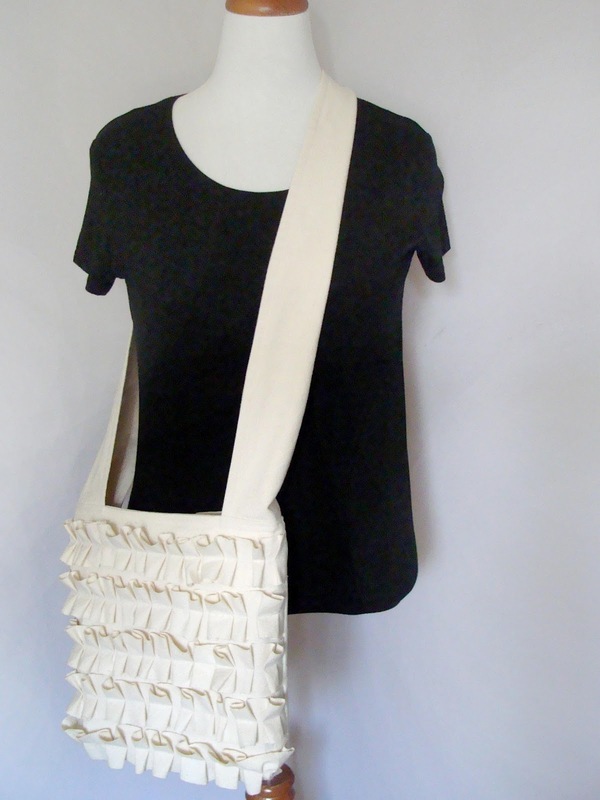 I hate purses that fall off my shoulders, so I made this bag with 1 wide/tapered strap that fits comfortably on my shoulder and across my body. I used a heavier weight natural cotton material and did not use interfacing because I like the slouchier look. 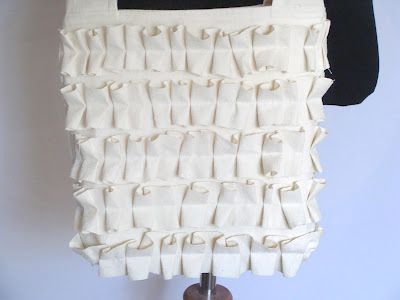 I created the ruffles by hand, much like I do with my shabby ruffled pillow cases, and secured the raw edges with fray check. The edge of the ruffles will still fray a bit, but I like the shabby look it creates. I created square corners b/c I like the look and it gives it a tad more room. If I was doing this purse making thing at all, I was doing it right. 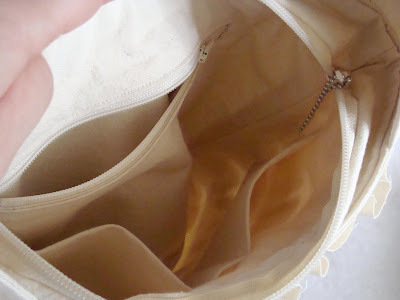 So even though I feared the inside zipper pocket, I put one in. And thanks to some fantastic tutorials, it was so much easier than I thought it would be! (see end of post for links). I also added some slip pockets for my phone, pens, etc. Love them. Since I'm a bit fanatical about keeping my contents secure, I couldn't go with an open bag or magnetic snap. Although I dreaded it, I put in a zipper enclosure. It was a little tricky, but again, with the help of some tutorials I got it put in. I just kept the back simple. 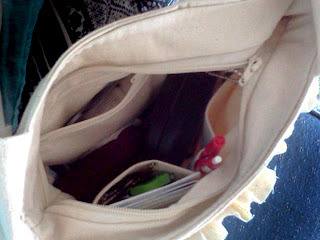 Now that I know I can sew my own purse, I'm craving making a few more! 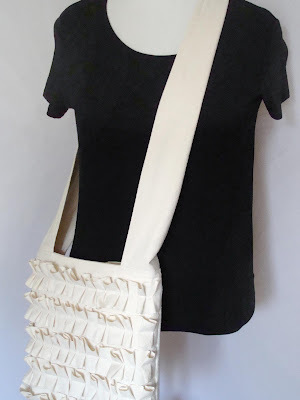 Like this cute Reversible Shoulder Bag from Lula Louise or maybe a lined zipper pouch like this from Skip to my Lou... We'll see. 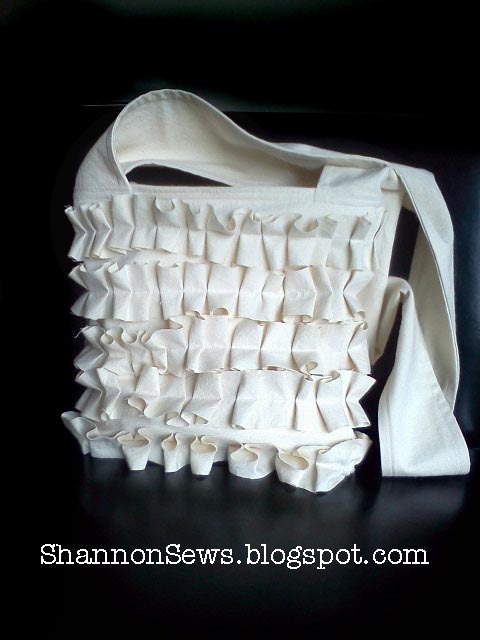 It takes a village to raise a child to help Shannon sew a purse! So as promised, here are some great resources I used to help me along the way. 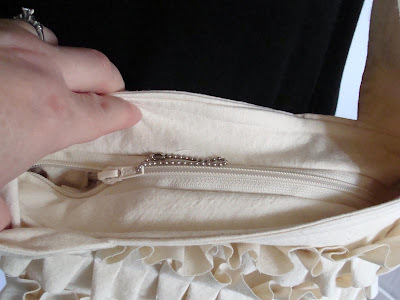 Tutorial ~ Zippered and Slip Pocket Tutorial from Sew, Mama, Sew! 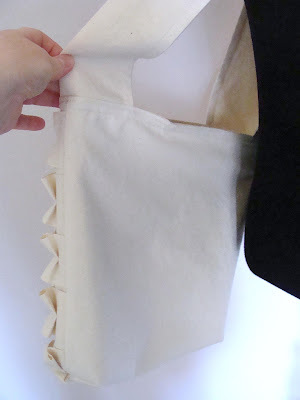 *Adding strap/sewing a tote bag together. *This also shows how to square your corners. i've been luggin around the same ole purse for a long time too! 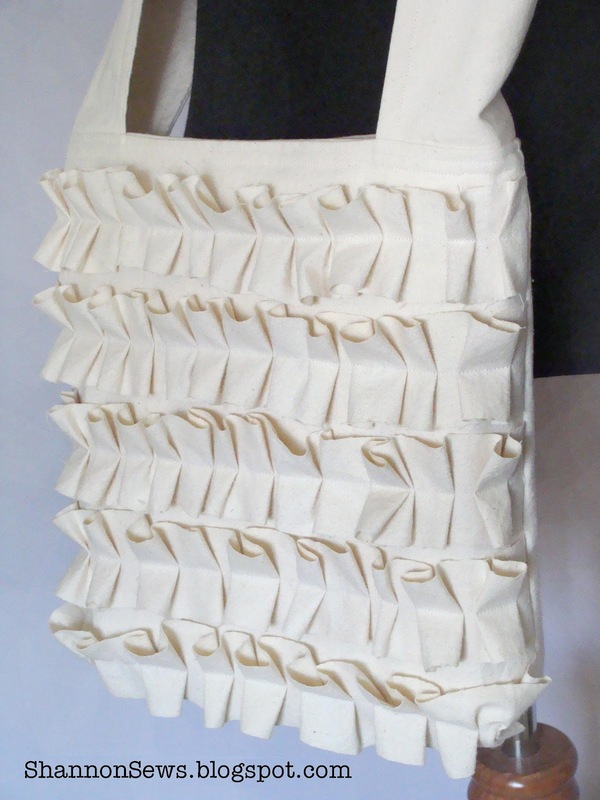 your new ruffle bag is darling! Thanks Emily! I was too stubborn to just go buy a new purse because I'd challenged myself to make one. I can finally say goodbye to that gross old green one! hahaha Not sad to see it go. Thanks so much! Amy! What sweet comments. I really appreciate it! I love ruffles and crossbody bags. Great combination. Thank you so much Mandy!! I really appreciate you featuring me! WOW! It looks great - you did an excellent job! Ruffles intimidate me, so I haven't tried making them yet. Thanks for including the tutorials! This is adorable!!! You gotta love sisters for not sugar-coating things :) Beautiful, beautiful, beautiful bag! Thanks so much for following! I've already checked out your great blog! Always so nice to be featured on something I put my heart into. Thanks so much Rebecca! LOVE! I saw the word ruffle and had to come right over. 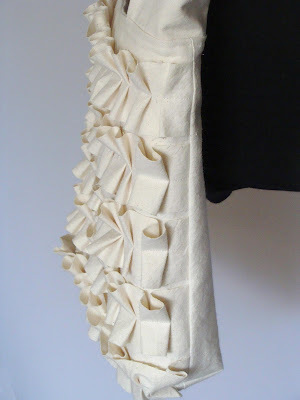 I am a ruffle girl all the way...so darn pretty! 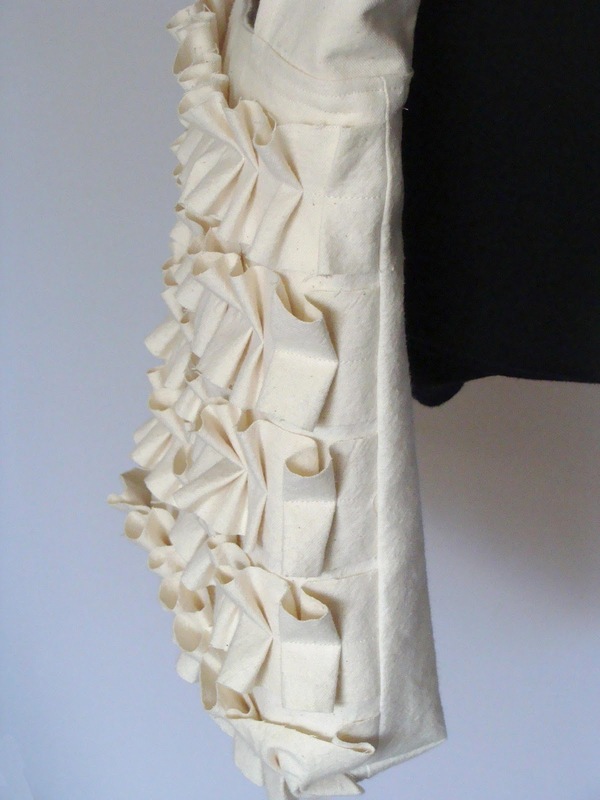 I'm crazy about ruffles too! Can't get enough of them. Thanks so much for your sweet comment! You did an awesome job. I will be featuring this tonight at my Sizzle into Summer party that opens at 8pm EST. Please stop by and pick up an I've Been Featured button. Thanks. Thanks for sharing my zipper tute!